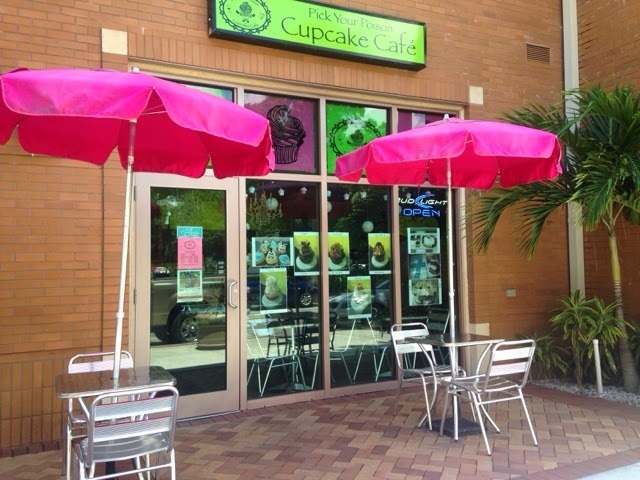 Cupcaking in Tampa is in full swing now since my short stint here is coming to a close in about a month. So as I cross cupcakeries off my to-go list, I am still finding myself adding a couple more to said list. I almost feel like a masochist when I type CUPCAKES into Yelp these days. 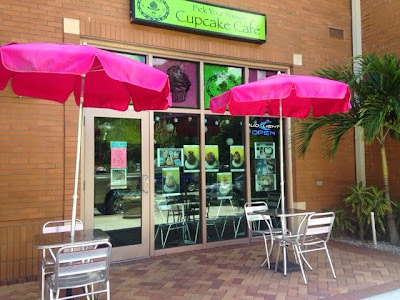 Last week I took a quick jaunt up to Safety Harbor to patronize their local cupcake bakery: Pick Your Poison Cupcake Cafe. Safety Harbor, west of Tampa, is a quaint waterfront town filled with cute shops and restaurants. I wasn't sure what flavor I was craving that day so I asked for a recommendation. 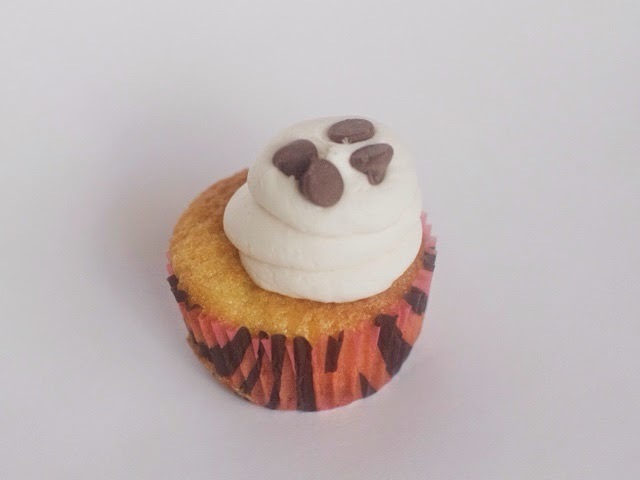 I settled on their chocolate chip cookie cupcake: a cookie crust with a vanilla cake and topped with vanilla buttercream frosting and chocolate chips. I was sold after hearing about the Toll House chocolate chip cookie baked as the crust of the cupcake. Each cupcake is $3. I had high hopes for this cupcake since there's nothing I love more than a Toll House chocolate chip cookie: a little salty, a little sweet and a winning recipe for a reason---it's completely delicious. I was hoping the cupcake would reflect the flavors of a homemade cookie but I was too overwhelmed by the overly sweet vanilla frosting topping the cake. Once I scrapped off 90% of the frosting, I could still barely taste the cookie crust. But it had a springy cake and was adequately moist. I can't say I agree with this bakery being named as having the Best Cupcakes in Tampa Bay in 2012. Here in 2015, I would say it's just an average cupcake.